Will Ferrell and John C. Reilly Will Become Best Friends Again In ‘Border Guards’!! “Did we just become best friends again? Yep! That’s right. Will Ferrell and John C. Reilly have just signed on with director Adam McKay for the film ‘Border Guards‘ for Sony Pictures. Jesse Armstrong will write the screenplay, as he created and wrote the tv series ‘Peep Show‘. Ferrell, McKay, and Kevin Messick are producing through Gary Sanchez Productions. Michael De Luca and Jonathan Kadin will oversee the project for Sony. Ferrell and Reilly will play two good friends who decide to make something good out of their lives by protecting America’s borders from illegal immigrants. While doing their job, they find themselves stranded in Mexico with no identification, hence no way back in. So the two must sneak back into their own country. Sound like quite the set up for a great comedy from these two who both perfectly starred in ‘Talladega Nights‘ and ‘Step Brothers‘. These two have so much chemistry, that I think they might be best friends in real-life. I can’t wait to hear more about this. Your thoughts? 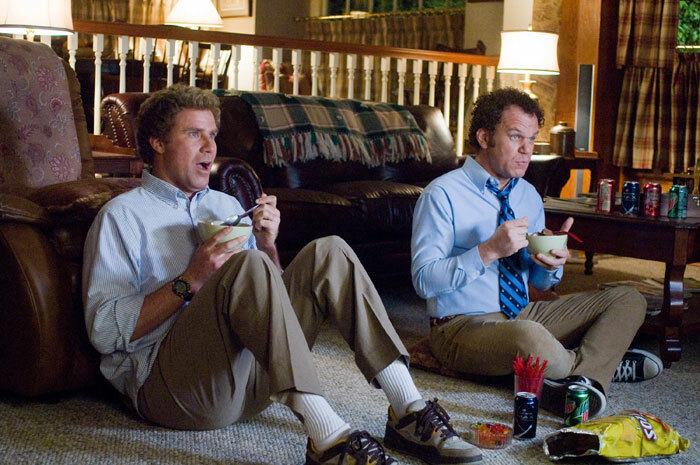 Will Ferrell and John C. Reilly Reuniting for New Film, ‘Devil’s Night’!! This entry was posted on Tuesday, April 15th, 2014 at 6:15 pm	and is filed under Film, News. You can follow any responses to this entry through the RSS 2.0 feed. You can skip to the end and leave a response. Pinging is currently not allowed.